Hamptonites love the East End, of course, but here’s where they like to travel for a summertime Euro jaunt. A favorite of the world’s biggest celebs, St. Tropez rocks from late morning to the wee hours. Begin the day (in St. Tropez a good start time is noon) at people-watching favorite the café Senequier (senequier.com) with a café crème and a tarte tropezienne (translation: the tart of St. Tropez), a cream-filled pastry named by Brigitte Bardot when she was filming And God Created Woman, a movie that helped place the resort on jet-setters’ maps. No visit here is complete without a stop at one of the A-lister-magnet beach club/restaurants. At lunch at Club 55 (club55.fr), you may find Paris Hilton or Kate Moss soaking up the sun, and models aplenty nibbling on freshly grilled fish or sipping chilled rosé. Head to Nikki Beach (nikkibeach.com), known for attracting a super-glam crowd and its not-to-miss Sunday brunch. Jet-setters who flock to Bagatelle restaurants in posh watering holes like St. Barth’s and Ibiza make a beeline for the outpost in St. Tropez (bagatellesttropez.com). Serious foodies head to La Vague D’Or (vaguedor.com), with a locally sourced Provencal menu that earned the restaurant three Michelin stars. Any A-lister worth his or her Page Six mentions has flocked to Les Caves du Roy (lescavesduroy.com), a famed nightspot in the Hotel Byblos. The door is tight, the champagne flows, and this year the merrymaking will ratchet up all the more, as this iconic spot celebrates its 50th anniversary. The members-only VIP Room (viproom.fr), a supper nightclub, is also a big-name hot spot. 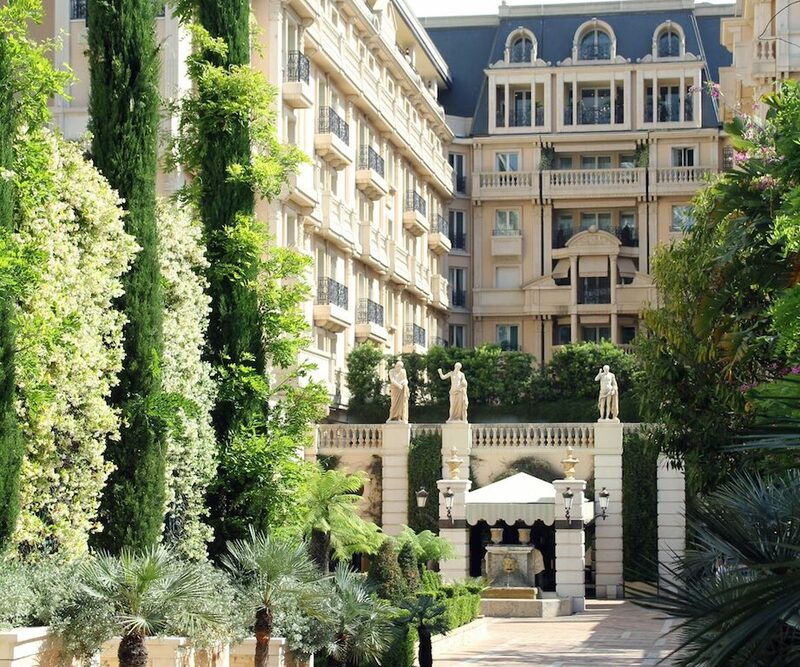 For high-style pampering, La Reserve Ramatuelle (lareserve-ramatuelle.com) is the place to go. In addition to the spacious rooms and suites that have terraces overlooking the Mediterranean, there are 14 Provencal-style villas that come complete with private pools, cooks, and butlers. Be part of the nonstop Tropezian action at the Hotel Byblos (byblos.com), a celeb hangout for such stars as Leonardo di Caprio, George Clooney, and Naomi Campbell. The hotel, likes its renowned club Les Caves du Roy, celebrates its 50th anniversary in 2017, so expect a high-wattage bash at its annual fete, scheduled for July 19. For visitors seeking an exclusive and secluded retreat as a respite from all the action, the Villa Marie (saint-tropez.villamarie.fr), a five-star boutique property in Ramatuelle, is a good option. For St. Tropez rosé (and white and red wine) head to the Domaine Bertaud Belieu (bertaud-belieu.com) located on the town’s peninsula in Gassin dans le Var. The winery is where Leo Di Caprio will hold a benefit for his foundation (the Leonardo di Caprio Foundation, leonardodicaprio.org/) on July 26. Sacha Lichine is owner of Chateau d’Esclans (esclans.com), located in Provence, and the son of famed vintner Alexis Lichine. Here are some of his favorite spots. Bagatelle Beach (bagatellesttropez.com) in St. Tropez offers a combination of stunning waterfront views and the best in French cuisine by the great Chef Nicolas Cantrel. The truffle dishes here are outstanding. I order the whole truffle roasted chicken with baby potatoes. Last year, following our 10th anniversary celebrations at the Chateau, we celebrated the Fourth of July here. La Mère Germaine (meregermaine.com) in Villefranche-sur-mer is a must and a perfect place to enjoy a glass of rosé. This charming waterfront restaurant specializes in seafood from the region. The homemade rock fish soup is not to be missed. Chez Bruno (restaurantbruno.com) in Lorgues is another great choice for truffle dishes. The Michelin star is rightly earned. Nikki Beach (nikkibeach.com) is known as a hot spot in St. Tropez. The glamorous, stylish crowd comes dressed in their best beach attire. Bâoli (baolicannes.com) in Cannes offers a magical setting. 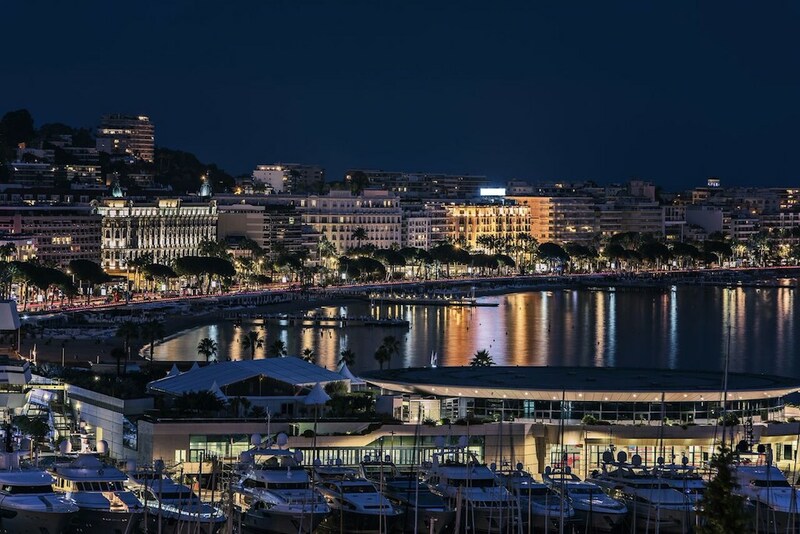 A favorite among celebrities and movie stars in town for the Cannes Film Festival, it is perfect for showing friends a good time. The Pampelonne and other beaches in Ramatuelle. Not only are they stunning and relaxing, but all the action—restaurants, nightlife, and shopping—is close by and just a short walk from the water. Vilebrequin (vilebrequin.com) men’s swimwear—the bright colors and beautiful patterns bring the spirit of St. Tropez to life. Hotel La Ponche (laponche.com), a charming old St. Tropez establishment; the Hotel Byblos (byblos.com), also in St. Tropez; La Bastide de Moustiers (bastide-moustiers.com) in Moustiers-Sainte-Marie; the Domaine de la Baume (domaine-labaume.com) in Servian; La Colombe D’Or (la-colombe-dor.com) in St.-Paul de Vence; and La Chevre d’Or (chevredor.com) in Eze Village. Ambassador Maguy Maccario Doyle is Monaco’s emissary to the United States and Canada. For lunch: It’s hard to go past the Societe Nautique Restaurant, which is located next to Monaco’s stunning Yacht Club, designed by Lord Norman Foster. There’s nothing better than enjoying the views of Port Hercules’ sparkling harbor with delicious Mediterranean cuisine and a glass of Provençal wine. Great tip: La Montgolfière (lamontgolfiere.mc) on “the Rock” near the Prince’s Palace in Monaco ville. It’s very small and cozy, but the food is superb and the service is great. For dinner: Joël Robuchon’s restaurant at the Hotel Metropole Monte-Carlo (metropole.com/en/restaurant-montecarlo/joel-robuchon) is sublime. This elegant dining room (pictured below) with two Michelin stars is a grand indulgence. Hint: For a very special treat, request the Chef’s Table and view the creation of your meal by the talented chefs in their kitchen. For those who like organic dishes, try Elsa Restaurant, the world’s first all-organic Michelin-starred eatery, at the Monte-Carlo Beach Hotel (montecarlosbm.com), where chef Paolo Sari creates mouth-watering cuisine sourced locally from the restaurant’s organic gardens. Cafés for people-watching: The centrally located Café de Paris (montecarlosbm.com) has been the epicenter for people-watching in the principality since the day it opened in 1865. There are some impressive sports cars on view in the Casino Square too! Boulangeries and patisseries: The pretty patisserie Prince’s Tea is a pastry lover’s haven, featuring tasty pastries and sweets. Epi d’Or on rue Grimaldi is a popular bakery for freshly baked bread, cookies, and cakes. Monaco’s best cappuccino can be sipped at Metcafé (in the Le Metropole Shopping Centre),, a great central location for meeting friends and indulging in a local favorite dessert: chocolate religieuse, double choux pastry shells filled with chocolate or mocha crème pâtissière. It is almost a religious experience in itself! Hotels: The Hotel Metropole Monte-Carlo (metropole.com) and the Hotel Hermitage (hotelhermitagemontecarlo.com) are the epitome of elegance and luxury with modern comforts. They are my homes away from home! We are also looking forward to the reopening of the renowned Hotel de Paris (hoteldeparismontecarlo.com) after extensive renovations. It will partially reopen in mid-2017 and will be fully reopened by December 2018. The hotel’s Le Grill Restaurant is due to reopen in time for this year’s summer crowd. (oceano.mc) and Aquarium. 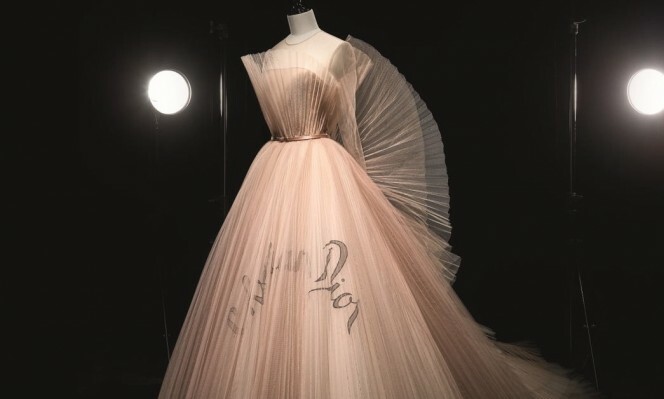 On July 1, the Place du Casino will be transformed into a giant dance floor for the premiere of Les Ballets de Monte-Carlo’s F(ê)aites de la Danse (balletsdemontecarlo.com), a festival of dance. In advance of its 2018 USA tour, be sure to check out Les Ballet’s performances in the Monte Carlo Opera House in July. The island is famed for its nonstop nightlife scene, which attracts big-name celebs, billionaires, and tech moguls visiting the White Isle in their mega-size yachts. Hamptonites and New Yorkers who love Cipriani can head to Cipriani Downtown Ibiza (cipriani.com) in Ibiza Town for their Bellini fix in a swishy setting overlooking the harbor. There are many Cipriani classics, like the risotto primavera, carpaccio and vitello tonnato, and a nice offering of sushi and sashimi to nibble on while you take in the stylish crowd. 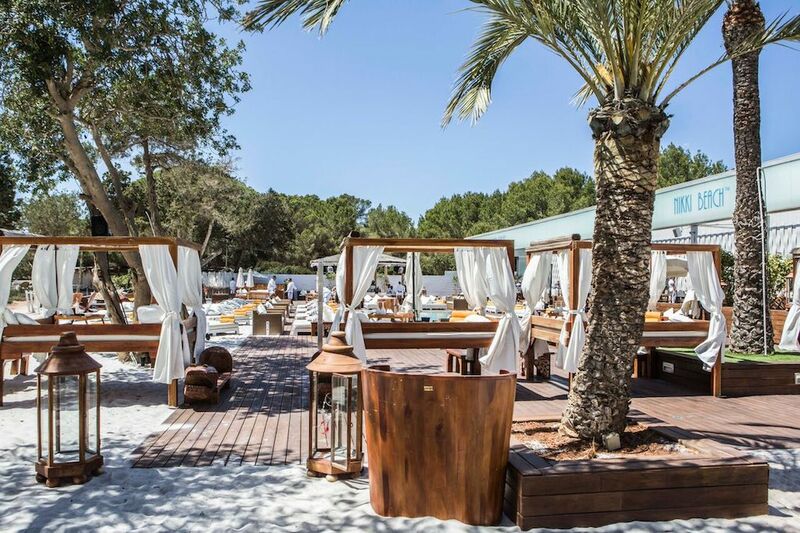 Like its counterpart in St. Tropez, Nikki Beach Ibiza in Santa Eulalia del Rio (nikkibeach.com) is a fantastic beach club, an all-day party, as well as a place to lunch (until 7 p.m.) and dine (Thursday to Saturday, from 8 p.m. to midnight). Another posh beach club is the Blue Marlin Ibiza (bluemarlinibiza.com) on Cala Jondal Bay, with day-to-night dining, serious sunbathing, and big-name DJs. The local clubbing scene attracts the chic and powerful from everywhere on the planet. No serious clubber can miss a stop at Amnesia in San Rafael (amnesia.es), which lures the world’s top DJs (and Paris Hilton) and is famous for its no-holds-barred foam parties. The success of Pacha Ibiza (pachaibiza.com) in Ibiza Town, celebrating its 50th anniversary this year, served as a catalyst for the island’s now legendary nightlife scene, and the beautiful, and famous rock this club. The largest nightclub in the world, Privilege Ibiza (privilegeibiza.com), located in San Rafael, has drawn countless celebrities, including David Bowie, Tina Turner, and P. Diddy. Robert De Niro and Nobuyuki Matsuhisa expand their hospitality empire with the new Nobu Hotel Ibiza Bay (nobuhotelibizabay.com), located on the shores of Cala Talamanca. We can’t wait to see the guest list at this property, which is two kilometers north of Ibiza Town and offers two seafront pools, a Six Senses spa, and, of course, a Nobu restaurant. Ushuaia Tower Ibiza (ushuaiabeachhotel.com), in Playa d’en Bossa, is a celebrity haven—Leonardo di Caprio chose the penthouse here. Join the never-ending party by the pool at the nearby Ushuaïa Ibiza Beach Hotel. For a relaxing countryside getaway, try the Ca Na Xica Hotel and Spa (canaxica.com) in Sant Miquel de Balansat, a sleek 20-room boutique hotel nestled among olive and citrus trees with a gorgeous pool. Dimitra Kolotoura and Mareva Grabowski are founders of Zeus + Dione (zeusndione.com), a luxury fashion and lifestyle brand that collaborates with artisans throughout Greece for its collection of handmade ready to wear, swim, jewelry, accessories, and Hellenic-heritage fashion. Here are their island recommendations. Our favourite restaurants are spread all over the island. Usually we combine a day by the sea with late lunch on the beach. We like Spilia Seaside Restaurant (spiliarestaurant.gr), in Agia Anna, and the supercool and bohemian Alemagou Beach Bar (alemagou.gr) in Ftelia Beach. Little Venice is the best place to watch the sunset and enjoy a great cocktail. The bars are all lined up against each other and offer little chairs overlooking the sea. Our two preferred hotels are the Belvedere Boutique Hotel Mykonos (belvederehotel.com) in Mykonos Chora, because it combines a relaxed atmosphere and a strong cosmopolitan scene at night, and Mykonos Theoxenia (mykonostheoxenia.com), a historic venue designed by renowned architect Aris Konstantinides. It has the best location within Mykonos Town and by the sea. We always stop by Dew (dewmykonos.com) in Chora Mykonou, as well as Alchemist in Mykonos Town, where you can find the best designers from all over the world. Another great shopping stop is Panormos Boutique at Panormos Beach and Hippie Chic boutique (hippiechicmykonos.com/luxury-boutique-beachwear) at Agios Ioannis Beach—both offer a variety of glamorous beachwear! Take a ride by traditional boat to Delos,, the sacred island of Apollo, or Rinia, an isolated nearby island. You can hire a boat just for yourself at baytrip.gr. 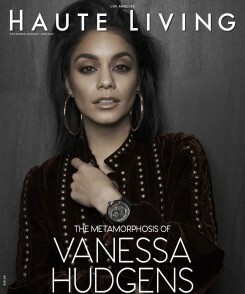 Haute Living looks at places sought out by stylistas, the yachting crowd, and those who like Greek chic with a boho touch. Indulge in fresh Mediterranean fare as you spend the days basking in the sun and enjoying knockout views of the island’s clear blue waters.. For Mykonos’ cuisine at its finest, head to Alemàgou (alemagou.gr) located in Ftelia Beach. The all-day beach bar entices a glam crowd who come for locally sourced dishes and the trendy atmosphere. Those who like to spend their beach time with buckets of champagne, rosé, DJ beats, and VIP cabanas should head to celeb-favorite Nammos (nammos.gr) in Psarou Beach, which has long been a top spot for posh daytime parties. Scorpios (scorpiosmykonos.com), a recently opened beachfront restaurant located on Sunset Beach, also offers a killer daytime party scene. For dinner, head to Matsuhisa (belvederehotel.com/nobu-matsuhisa-mykonos) at the Belvedere Hotel for famed chef Nobu Matsuhisa’s renowned Japanese cuisine and amazing views of the quaint town Chora and the Aegean Sea. 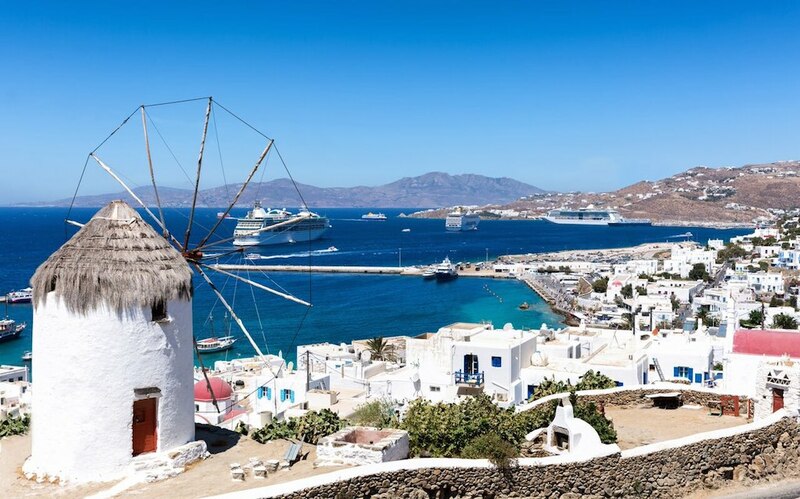 For many seasons, two Mykonos clubs have set the nightlife pace: Cavo Paradiso Club (cavoparadiso.gr) in Paradise Bay and Paradise Club (paradiseclubmykonos.com) in Mykonos Town, where A-list DJs like Tiësto and David Guetta come to play. Cavo Paradiso Club, an indoor-outdoor mecca nestled on a rock overlooking the Aegean Sea, has been considered the crown jewel of the Greek clubbing scene for more than 20 years, attracting VIPs and celebs who indulge in flowing bottle service. A-listers also head to the Moni Club (monimykonos.com), located in the old port on the historic Agia Moni Square in Mykonos Town, to party until sunrise. For five-star accommodations, there’s the Boheme Hotel (bohememykonos.com), a boutique property with a chic, Boho-style design, built in traditional Cycladic style on a mountain overlooking the water. Other luxury favorites include the Mykonos Blu Hotel (mykonosblu.com) on Psarou beach, which offers lush beach bungalows and private villas, as well as the Cavo Tagoo (cavotagoo.com), a stunning cliffside hotel near Chora with striking sea views.